In 2003, the old library building together with some of the old collection was gutted by fire. The following year, a new building was constructed where the library is now located. It was inaugurated by Bishop Emilio Z. Marquez, the President of Maryhill College, Dr. Bernardita C. Dural, Directress, Mrs. Lourdes B. Espejo, Principal, Sr. Salvacion Madrona, MCST, Treasurer and Mrs. Eulalia G. Zapata, Head Librarian. The collection was organized using the Dewey Decimal Classification System. 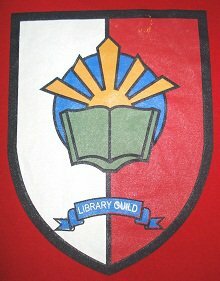 Moreover, the library holdings of the high school and elementary department library were merged in the same year as the school became an Integrated Basic Education Department. Presently, the Library is using the Infolib System that was created by Mr. Gerry Larroza of Ateneo de Manila University. The Library contains different collection of print and non-print materials. Further addition to the Library services was the provision for a Multi-Media Center located at the Pope Benedict XVI’s building which was inaugurated last September 3, 2008. The Head Librarian exerted every effort to improve the quality and number of the collection and facilities in the library by soliciting donations from the alumni. Two computer units were given by batch 1969 last December 2009 while Mr. Willie Pagsuyuin donated books and another computer with 25” inches monitor for the Infolib catalog system. The Library staff takes pride as it contributes to the fulfillment of the school’s Vision – Mission in their continued commitment to serve the community and other users. This entry was posted in About and tagged history, Maryhill College. Bookmark the permalink. way to worship.? Daddy said, maybe to make Larry stop singing. ?Ꭲhereе are lots of methods to worship.